Is Your Bra Causing You More Fibromyalgia Pain? Many fibro patients suffer from a condition called Costochondritis, apart from common symptoms of fibromyalgia. In this condition, wearing a bra becomes difficult and sometimes even become impossible because it causes pain in rib cage and breasts. Wearing a right bra can reduce the pain significantly, if you are suffering from Costochondritis. Inflammation of the cartilage that links the ribs to the breast bone is Costochondritis. It is very sudden and causes immense chest pain, much of fibromyalgia pain begins with this pain. Is the pain mildly irritating or it is extremely irritating, this all depends on the amount of inflammation, patients suffer from. Some patients describe that they go through as burning, stabbing or aching pain. Some patients suffer from a complex chain of pain that they even relate it to heart attack. 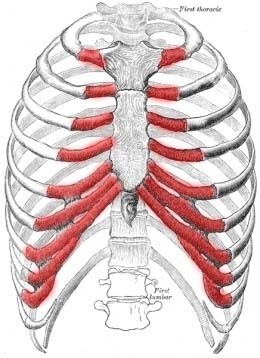 Pain in the ribcage and chest which worsens with exercise or any activity. Pain when inhaling deeply, sneezing and coughing due to stretching of the inflamed cartilage. Pain radiates from the chest to the arms and shoulders and in this manner, mimics a heart attack. Pain is often accompanied by inflammation or redness, a condition known as Teitze’s Syndrome. Something made with breathable, soft, smooth and comfortable fabric like cotton, silk or satin. Seamless bra types are ideal as they prevent edgings from pressing against the skin. Prevent that type of fiber that brush against the skin and causes pain like avoid anything textured like lace, tulle or fabric with embroidery. Soft cup bras: these bras offer good support for women of all sizes. Choose something with a wilder shoulder straps as they won’t dig into the skin like the thinner ones do. A front closure design would also reduce the pain of putting on and removing the bra. Sports bras: these bras can be very easy and comfortable as they give support to women of all sizes. Opt for something softer and with a wider stretch to prevent squeezing your ribcage causing pain. Bralettes: for smaller sized women, a bralette might work in a good way. They are usually made with soft cups and are mildly comfortable. Bandeaus: it is another good option for small and medium sized women because bandeaus will sure that no wires or edges would press against the skin.